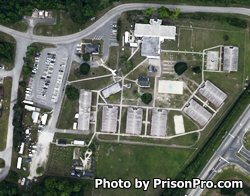 Located in Wilmington North Carolina, New Hanover Correctional Center is a minimum security prison that houses 384 adult male offenders. Inmates at this facility are housed in dormitories. Over fifty inmates at this facility can participate in the work release program, which allows the inmates to leave the facility during the day to report to a job in the surrounding community and return to the institution at the end of their shift. Work release is an integral part of the inmates preparation for release as it allows them to acclimate to normal life outside of prison and prepare themselves financially. While incarcerated at New Hanover Correctional Center inmates can work within the prison in various support jobs performing kitchen, laundry, custodial and maintenance duties. Additional jobs are available on road crews for the surrounding counties. Offenders can also receive vocational training while incarcerated and learn a new skill in horticulture and industrial electricity. Visiting at New Hanover Correctional Center occurs on Saturdays and uses a rotating schedule according to the first letter of the inmate's last name. Half of the inmates have visiting Saturdays at 11am-1pm and the other half have visits Saturdays 2pm-4pm. This schedule rotates each month, because of this you will need to contact the facility for the current rotation. Inmates are allowed a maximum of three visitors per visiting session. Segregation inmates have visits by appointment only.